This year’s Grammy Awards were full of great-for-TV moments. From Kesha’s powerful ballad “Praying” — sung alongside a roster of powerful female performers — to a catchy ’90s throwback by Bruno Mars with “Finesse,” it was a night to remember as the Grammys returned to New York City for the first time in 15 years. And let’s not forget all the Grammys red carpet looks! The ceremony also made a serious fashion statement this year. 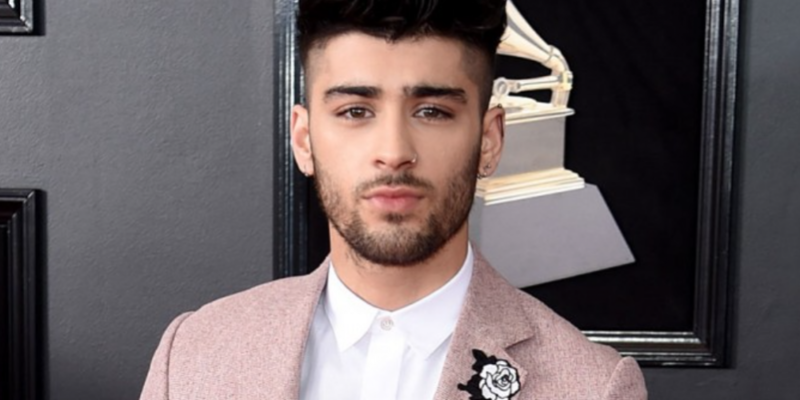 Many of the celebrities and artists in attendance sported a white rose to support the Time’s Up movement on the Grammys red carpet. Lady Gaga, Miley Cyrus and SZA all looked statuesque in their designer creations bearing a single white rose. And the gentlemen of the evening, not ones to shy away from making a Grammys red carpet statement, equally stepped up their fashion game at the big event. Unlike other awards shows, artists get to have fun with their Grammys red carpet looks. Instead of sporting classic black suits, musicians often opt for bold texture and colorful sportswear while sashaying down the red carpet. No tie? No problem. Several guys at this year’s Grammys looked dapper in classic tees and even a turtleneck. 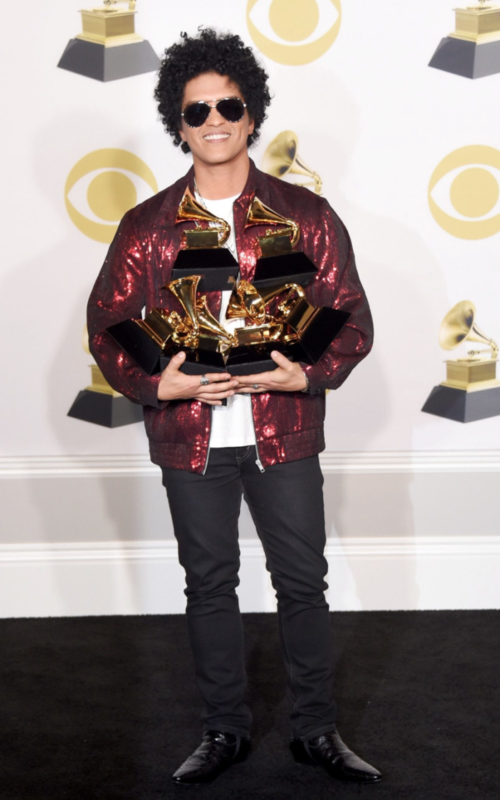 Bruno Mars, the night’s big winner, looked great in his athleisure getup. Instead of dressy shoes, several stars wore “normcore”-inspired footwear, while others showed off their fancy sneakers on the Grammys red carpet. RELATED | Why Is the Ugly Sneaker the New Trend in Fashion Footwear? 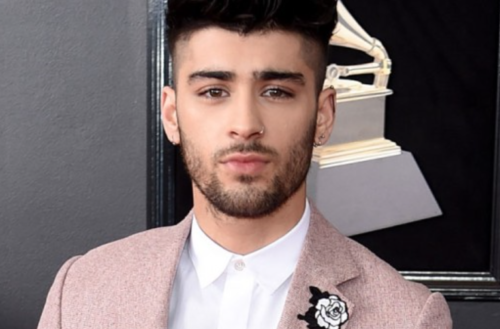 Zayn Malik, Sam Smith and Khalid also dared to toss away tradition and go with eye-popping looks. Anything goes at the Grammys, and that was evidenced in the many men who walked the red carpet before the ceremony.